A friend with a mini-excavator, is a friend in-deed, or so the saying goes. 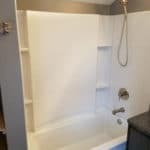 At Brad’s Construction, we like to be efficient at what we do. 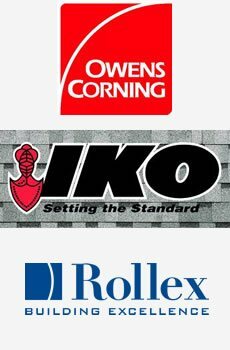 This means owning the right tools and equipment for the wide-range of projects that we are called to complete around our client’s homes. One of the best pieces of equipment we own for completing specific phases of many of the construction tasks around our clients properties is our mini-excavator. 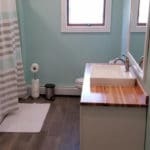 Able to work in between homes and buildings, small back yards, and tight spaces. Our mini-excavator is small enough and light enough that we can nimbly navigate properties with very little space to work with and we won’t have to tear it all up to do it. In many cases the use of our mini over a large machine can save our clients money because they don’t have to pay insane trucking fees or the increased overhead of running a larger machine. The smaller machines can also prevent our customers from having to tear down fences, or rip up their lawns and landscaping just for the larger machine to have access. Digging Alongside Foundation For Egress Window Installation. Egress windows are a special type of window usually installed into an existing below ground basement and used for emergency exit purposes. In order for a basement bedroom to be considered a “bedroom” or “living space” you must have an egress window installed to code. These projects often take place along the side of homes or in the backyard and our mini-excavator is perfect for job. We can squeak it through gates as small as 4 feet wide and we safely work around existing landscapes. We must dig a large hole right up against the foundation of the home. For such specific work, the smaller machine allows our operator to have a much better view and “feel” for the task at hand with the smaller, more nimble machine. Having this level of control can prevent costly foundation damage or damage to nearby structures, landscaping and even underground utilities such as power, water, sewer or gas-lines. Do you have a lot that you are looking to get ready to build on or some brush or debris you need to have cleared from your property? We can quickly remove small tress, stumps, brush and other debris, load it into a dumping trailer and haul away. 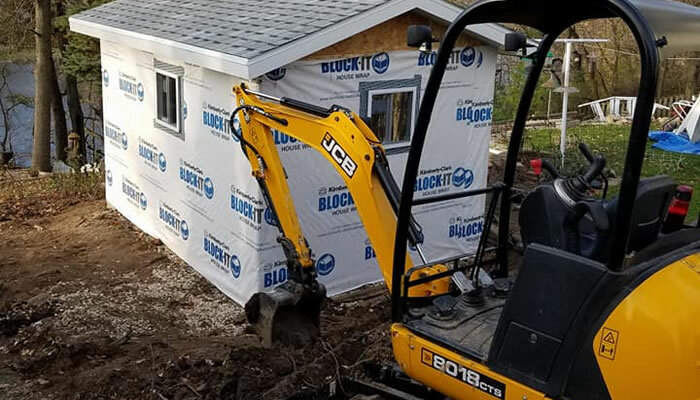 The mini-excavator is the perfect piece of equipment for smaller backyards with limited access or for sensitive areas where a large excavator would just cause damage. If you are planning to buy or build a new storage shed for your property it’s a good idea to place it on a properly constructed pad. You can make a pad for your storage shed out of crush gravel or using concrete if you’d like. Our mini-excavator or skid-steer can quickly take care of a project like this. Do you have an old concrete or stone patio you’d like to have removed and replaced by a new wood or composite deck? With our mini excavator and our skid-steer we can quickly break-up and remove old concrete patios, stone work or brick work. Standard concrete patios are often a 4 inch thick slab and this is ideal for our equipment as we can break them up without causing damage to our equipment. Tearing our and removing old brick walkways and sidewalks or even small retaining walls are also great projects for our mini excavator. We are often asked by clients to create new gravel parking pads for boats and RV’s or even additional vehicle parking. 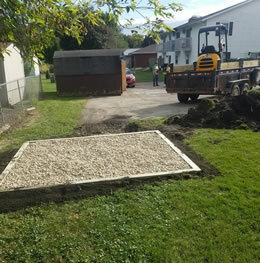 With our mini-excavator and our skid-steer we can quickly dig out our base with the mini and use the skid-steer to transport and spread the new gravel. 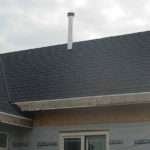 Many of these projects can be completed in a day or two, but you must book us well in advance! Do you have drainage problems on your property? Maybe your parking area pools with water when it rains? Or your lawn areas get flooded out? Poor drainage is a very common problem and it’s not always easy to fix. 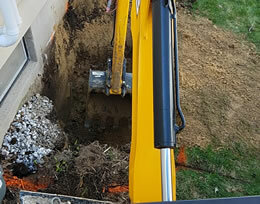 Our mini-excavator is ideal for the installation of new drainage systems, especially in tight spaces like backyards or close to the home or other structures. Brad’s Construction owns and operates their own mini-excavator for client projects and specific phases of construction. Smaller and more nimble than large excavators and with an experienced operator our machines can take on many different types of projects you might have on your residential property. 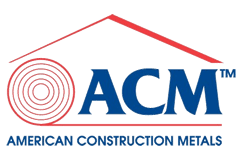 If you’d like an estimate for a construction project that would involve the use of our mini-excavator or skid-steer please call (920) 763-5779 or fill out our contact form and we’ll get right back to you.